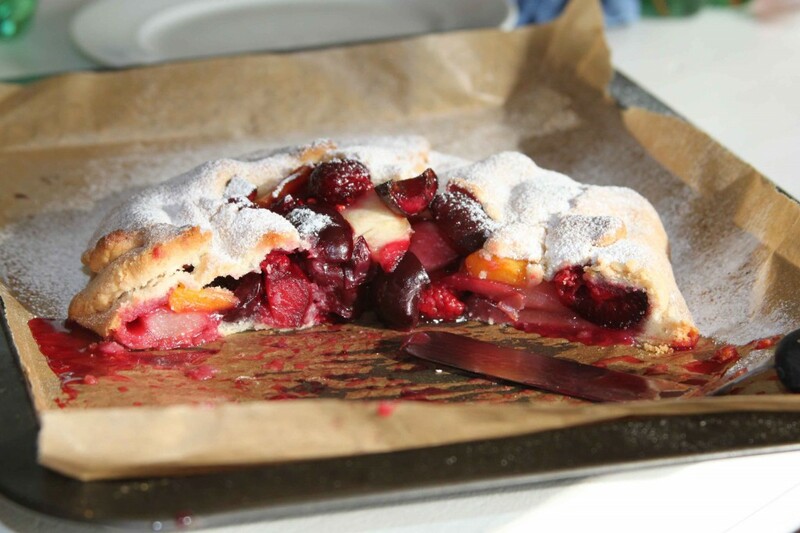 This entry was posted in Food, Puddings and tagged cherries, galette, nectarines, puddings, summer treat, sweet shortcrust by Anna. Bookmark the permalink. Thanks! They are so easy and so good, give it a go! Thank you Lizzy, it was good! I am going to make it again this weekend with raspberries instead of the cherries which are over. I tried this on Wednesday when we had friends round for supper. Delicious and easy. I’m not a ‘pudding person’ but this one is definitely one for the future. So pleased you tried it and enjoyed it – thank you very much. Just yesterday I was thinking what to do with some cherries, and a galette is a sweet idea. I love the rustic look Anna, and that filling! Summer fruit is the best! Thank you! Rustic works for me, I am not the neatest baker! I love the combination of cherries, nectarines and raspberries. A great simple but tasty dessert! Thank you Karen, you are right a great combo, I use these three in fruit salads too.